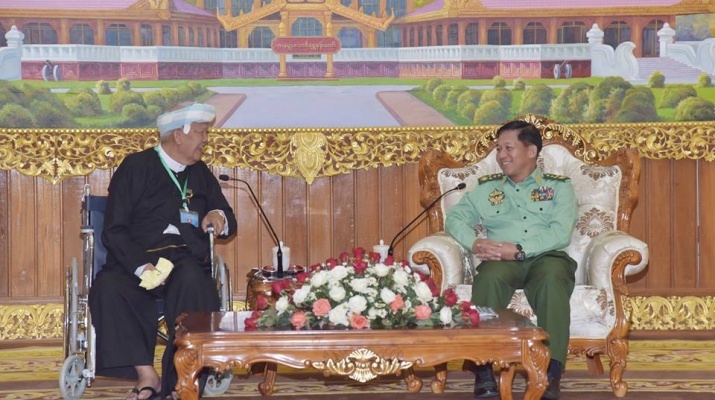 Commander-in-Chief of Defence Services Senior General Min Aung Hlaing received Chairman of people’s militia (transformed) (local) of Pa-O peace group (PNO) U Aung Hkam Hti and party at Parlour of Bayintnaung Villa here this afternoon. 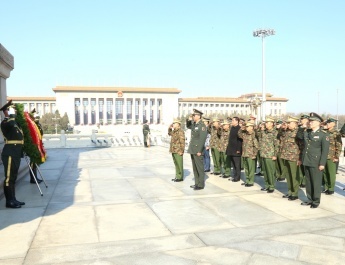 Also present at the meeting together with the Senior General were Deputy Commander-in-Chief of Defence Services Commander-in-Chief (Army) Vice-Senior General Soe Win, Chief of the General Staff (Army, Navy and Air) General Mya Tun Oo and senior military officers of the Office of the Commander-in-Chief (Army). U Aung Hkam Hti was accompanied by members of the people’s militia (transformed) (local). 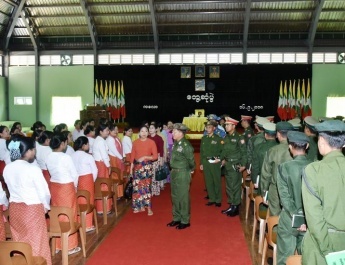 At the call, U Aung Hkam Hti said his group began to realize that the armed struggle line was unbeneficial, that the region lagged behind in religious and social views, general knowledge and development, and their acts could hamper the unity and progress of the nation. So, they made peace in 1992 with the aim of restoring peace without any longing for anything, while upholding the truth and prevailing conditions. Local people warmly welcomed the peace. Now, peace is prevailing in the region which is enjoying progress in multiple sectors including in transport. So, there should not be any misunderstanding about the eternal peace. 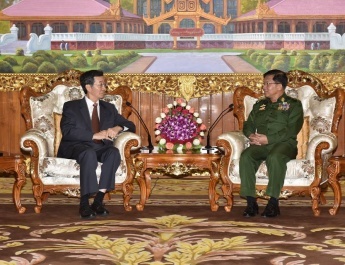 The Senior General said the current effort of the Tatmadaw is for achieving eternal peace. As to stand shoulder to shoulder with the ever developing international counterparts Myanmar should not be left behind. There are more than 51 million population in Myanmar, more than 600 million in ASEAN region and more than 6,000 million population in the world. The world population is rapidly growing. The country will lag behind in the development if the country lacks peace and stability on its path to development. Myanmar has around 1,100,000 Pa-O population and this population would continue to increase. 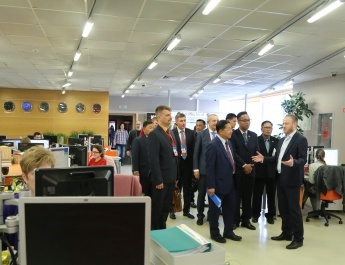 For the regional development, efforts should be made for development of the production technologies pertaining to agriculture, livestock and economy. In doing so, children can learn their lessons only when they are healthy. Thanks to it, they can widen the scope of their knowledge of business technologies. As a result, health and education standards can be promoted. The Tatmadaw were providing health care to the people, sending mobile medical teams. There should be unity between us and national brethren. All needed to prevent poppy cultivation, opium production and the abuse, production and trafficking of narcotic drugs in the region. 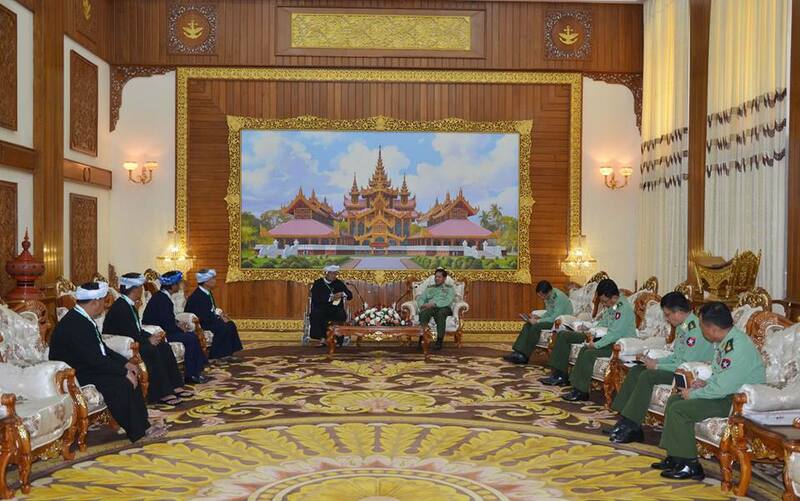 After that, both sides cordially exchanged the views on administration, regional security and regional development. 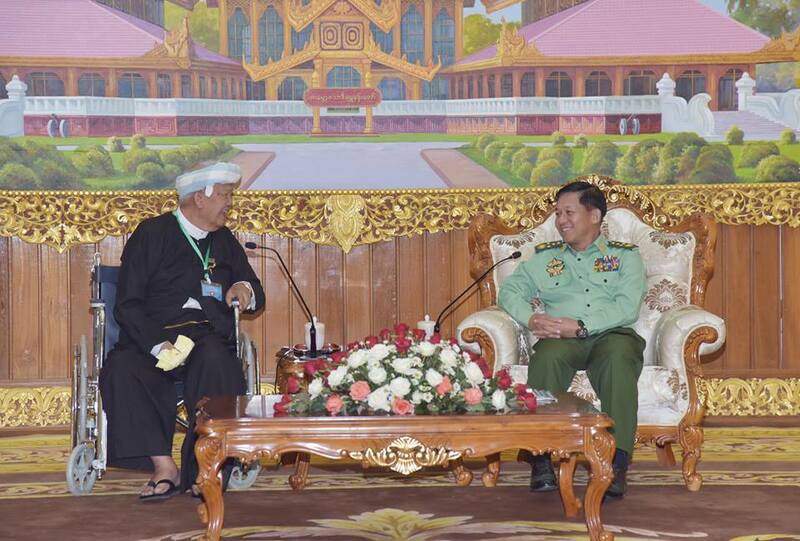 After that, Commander-in-Chief of Defence Services Senior General Min Aung Hlaing presented a gift to U Aung Hkam Hti, Chairman of people’s militia (transformed) (local) of Pa-O peace group (PNO). The both posed for documentary photo together with members.